Maharashtra State Livelihood Mission has invited to application for various posts. Interested and Eligible candidates who wants to apply for these posts apply online for Umed MSRLM Nanded Recruitment 2018 from 01 December 2018 to 16 December 2018. 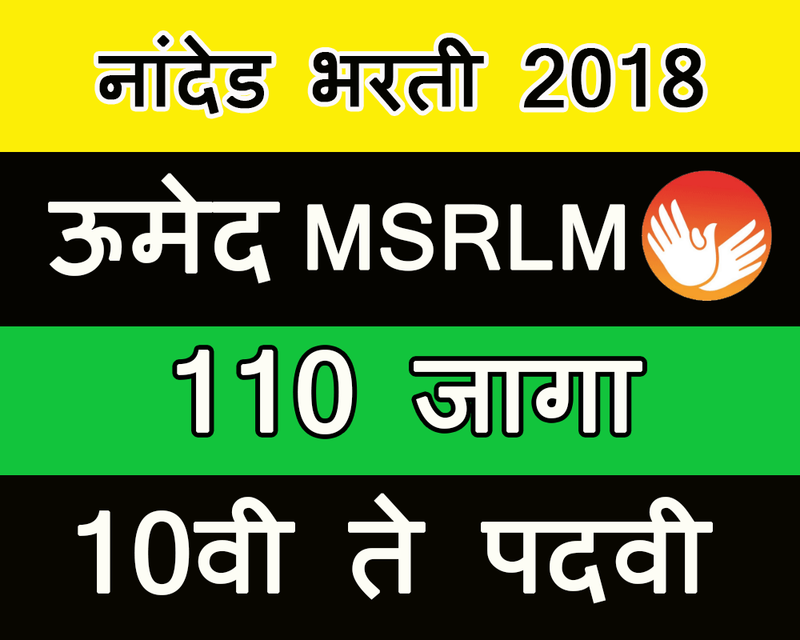 Refer the below article for more details like age limit, qualification and how to apply for UMED MSRLM Recruitment Nanded 2018. The minimum and maximum age for all posts above will be calculated on the date of 01 August 2018. Normally the candidate has a minimum of 18 years and a maximum of 38 years. The minimum age of backward class candidates is 18 years and maximum age is 43 years. Applications will be accepted as per the format attached to the advertisement only. 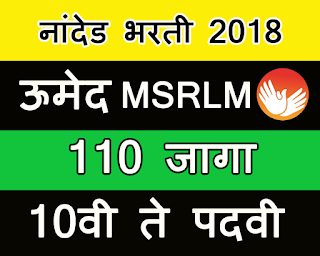 Apply online for Umed MSRLM Nanded Recruitment 2018 on departmental official website from 01 December 2018 to 16 December 2018. Written and examination organized for these posts for 100 marks. There will be 80 marks for the written exam and 20 marks for the interview. The best performing candidate can be selected.